Dentist: Facing a bad toothache? Dentist will surely have a cure for you. Dentist is a medical professional trained and qualified to deal with the study, diagnosis and treatment of oral care diseases. They deal with the conditions of oral cavity& mucosa, adjacent structures and tissues mostly in the maxillofacial area. A dentist is well supported by a team of assistants, hygienists, technicians and therapists. A registered dentist is sanctioned to carry out dental treatments and surgeries such as teeth cleaning, dental consultation, dental filling and teeth whitening, tooth extraction, teeth CT scan, dental scan, teeth sensitivity, tooth ache & cavity and oral surgery. Doctoruna provides all the relevant information you require to contact dentist in Cairo. You can compare the credibility and professional experience of all the dentists here and contact them for an appointment. 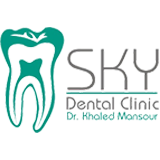 Dental care in Cairo is of high standards providing dentistry facilities like implants, gum problem, orthodontic treatment, wisdom teeth removal and cosmetic procedures are among the common problems inquired from the dentists in Cairo.